Mrs had a turbo for a while last year, and it was the least domestic-friendly thing I've ever encountered. Loud, pointy, heavy, loud, did I mention loud? It sounded like there was a helicopter in the house, there was no escaping the throbbing roar. We swapped it for some swim sessions with the coach I was working with at the time. Fast forward 12 months, and given my ITB problem and inability to run for a while (more on that in a moment) I needed to up my cycling and I didn't feel like my low-intensity commute was really cutting the mustard. I took the plunge and got it from Wiggle. I asked my coach, Joe Beer (twitter, website), for some turbo sessions and he sent me a set of 12 (actually, a set of 10, but session 9 has three variants). I thought a nice Christmas project to get my legs going around again would be to do one per day, starting today and finishing on January 3rd. Maybe I should have started 3 days ago? Historically, every time I've announced an intention to do a training block in this blog, something has happened to scupper it. Let's hope I can keep to this one! With regard to running, well I made the decision to quit running all together until next year. I've been religiously foam rolling, stretching, completing my asymmetrical exercises, and aqua running at Aqua Physio (excellent fun, much more than I was expecting). I still found though that 3x 5km per week was too much, and I didn't feel like I was letting the various exercises I was completing work to the best effect by continually stressing the area by running - it is an overuse injury after all. So I dropped to just 1x 5km parkrun for a couple of weeks, and then a couple of weeks ago after quite some ITB pain after a run I elected to cease running completely until next year. I think it's the right choice, and three weeks off completely, combined with the multiple angles of attack we worked out, I'm hoping to start next year in good shape. On the plus side, it means I can get a few parkrun volunteer sessions done over the holiday period. I'd urge any parkrunners who find themselves injured to look towards volunteering - particularly if like me you very rarely ever volunteer normally (I think once, ever, until this injury!). It feels good to redress the balance. Follow-up to: Why the insane Heart Rate suddenly? I've had the same feedback from a couple of people now. Garmin HR sensors take some time to settle when you start using them, either as a result of needing to warm up a bit (get a bit "moist under the strap", as it were) to improve the contact or because of the static caused by a fresh clean dry technical t-shirt. We've had our first tastes of cold winter air in the UK over the last few weeks. Cold air has a lower capacity to hold moisture, and when it's cold it'll take longer for your body to warm up and start to perspire. As I explained in my last post, I was making an effort to warm up very slowly in Brighton, and it took 20 minutes (twice as long as I've noticed before) for my heart rate measure to come down. I don't cycle in technical t-shirts and by the time I moved onto the brick run example I gave I'll have already been very well warmed up, and therefore no spike was evident. I run with a Garmin Forerunner 910XT. So the question becomes - did my heart rate ever go up that high in the first place? I'm starting to think that maybe it didn't. 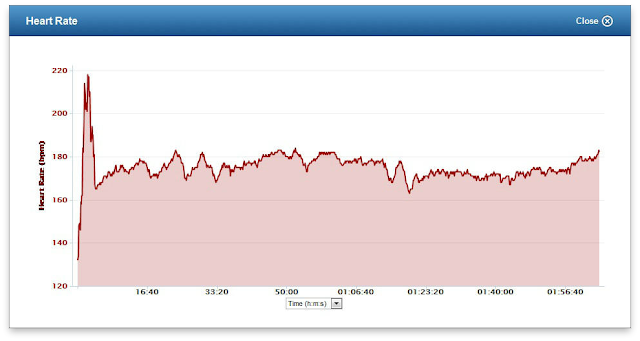 Firstly, thanks to Louise for showing me her Garmin plot featuring exactly the same thing up to a positively humming-birdesque 220bpm! Follow her parkrun and ultra exploits on twitter and on her blog. Secondly, thanks to Rob and Sam for their comments on my last post bringing my attention to the moistness/technical t-shirt behaviour. Finally, thanks to Robbie C who shared the activity from his easy (for some, maybe!) run round Regent's Park which also shows a starting peak, though not quite as pronounced as Louise's or mine form the weekend. His run was on December 7th which was a cold day, so that might explain why it took longer to read accurately and drop down - 20 minutes, about the same as mine. I'm going up to Darlington this weekend to visit my Dad and take in a parkrun (I think we can be fairly sure it'll be cold there) - so I'll make sure I moisten my strap properly in advance and I won't wear a technical t-shirt - I have a very warm Nike base layer I can wear, plus a jumper or something. Why the insane Heart Rate suddenly? In the last couple of weeks I've found that my heart rate has gone absolutely sky high in the first 10 minutes of a 5km run. I mean, really sky high. I'll start jogging and will feel absolutely fine and breathing no harder than if I were sat on the sofa, but my HR has hit 170+ BPM, the kind of rate that should mean I'm sprinting, squat-jumping, or absolutely hammering it up a hill on my bike. This is not normal. At Frimley Lodge parkrun last weekend I hit 190 BPM which is utterly insane given my peak HR is considered to be 192 BPM - I should be at near-maximum output to warrant that, not jogging along looking in alarm at my watch! After 10 minutes it drifts down a bit, but is still very high. 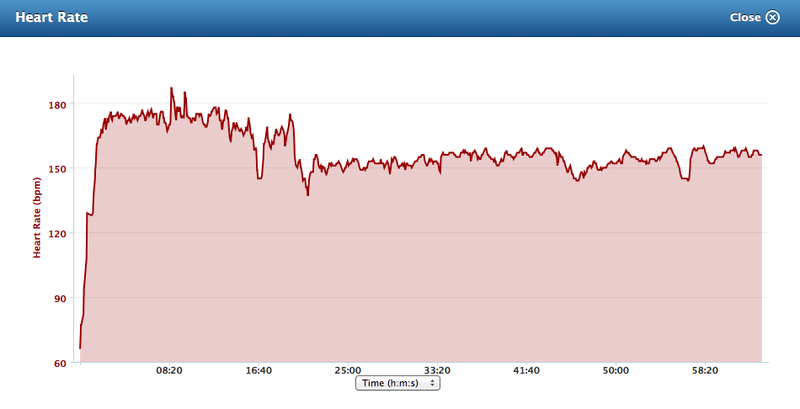 For jogging round a parkrun in 28 minutes I'd expect to be 125-135 BPM for most of the time. Initially I suspected this was as a result of the Bulletproof Coffee I'd been having for breakfast - however there is another occurrence, this time in the evening. On Thursday I went for a run when I got home from work, unusually I hadn't cycle commuted so started the run from cold. Similarly, I set off very slowly and suffered a huge spike in heart rate before it settled somewhat. Still higher than I would normally expect but closer. This morning Mrs and I took a drive to Brighton & Hove parkrun. I had decided to warmup slowly, and then run at whatever pace was required to keep my heart rate in HR Zone 1, under 152 BPM. During the warmup I walked briskly with a heart rate of around 100 BPM as expected, but as soon as I took the first few slow jogging steps it rocket straight up to over 170 BPM, literally (and I mean literally) within 5-10 seconds. I've never seen anything like it. I stopped jogging after a few steps, and it came down just as quickly. I carried on in this fashion for 15 minutes, gradually able to jog very slowly for slightly longer each time. For the run I decided there was no way I could stay in Zone 1, I'd have to walk round the course! Instead I set off very very slowly, and held a pace keeping my heart rate under observation. So it did come down, eventually! A big step down after 10 minutes, before finally getting more normal after 20 minutes or so. Note that my speed was relatively constant throughout this variation. Is it all due to not warming up slowly enough? There's an interesting data point from earlier this week. I went for a 5km on my local route earlier in the week, but this time I had cycled home first. My commute home starts in the West End of London, and is therefore very slow for the first 15 minutes, and not much better after that being punctuated as it is by hundreds of sets of traffic lights. I took this as a brick session, meaning I got in, got changed as fast as I could, and ran out immediately. I was still thoroughly warmed up form the bike ride. I wanted to blow out some cobwebs, so this run was harder than many recent runs, and I completed the 5km in a little over 24 minutes. Still a couple of minutes outside my personal best, but fast enough to have to work hard - the upward drifting heart rate during the run validates that I was certainly working hard to maintain pace. 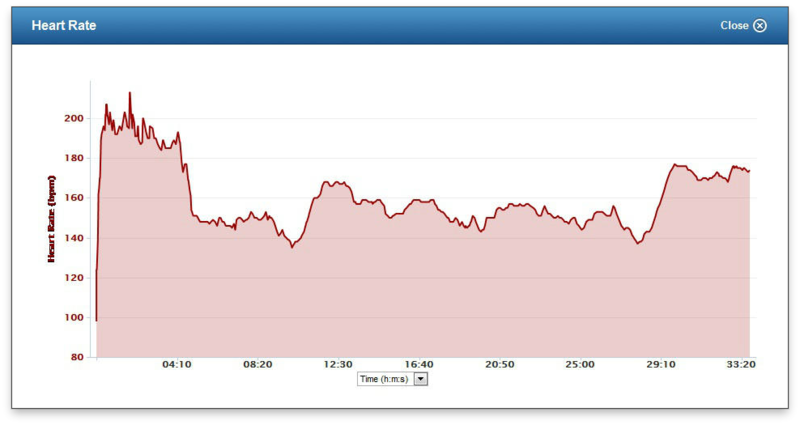 This shows that following a 45 minute low to medium intensity bike ride I don't experience the same spike. This graph is exactly how a hard 5km run always used to look, and just what I'd expect to see. No starting spike whatsoever. Maybe this is a side effect of a low carbohydrate and high fat diet? Why is it happening? My suspicion is that as my metabolism and fuelling has changed, there's some trigger which is not yet attuned to this physiological state. My body goes "Right, get ready to exercise!" and everything plays according to the rules apart from my cardio-vascular system which for some reason thinks it needs to get a record amount of oxygen to my muscles, or the signal to say that it was already delivering enough is suppressed (fat metabolism takes more oxygen, but I wouldn't have thought that alone explains this). So, why the insane heart rate suddenly? I'm in! I hope you'll be tracking race number 22,280 on the big day! So Comrades Marathon entry confirmed, place on the Unogwaja Challenge team confirmed, ITBS feeling like it's on the mend (I'm sticking rigidly to the plan). Suppose I'd better look into booking some flights! The purée is lovely, you don't have to have it with sausages, add whatever you like. It may work with a strong fish - it'll need to be able to stand up for itself though. You could add the vegetable stock back in and blend it into a soup. Next time I may add some garlic, or possibly a little chilli. This is definitely a recipe you can (and should) play with. Get the sausages on first, they'll take longest. 35 minutes or so at 175C. Now the sausages are in, add 250ml of water into a saucepan you have a lid for. Crumble the stock cube into it, drop all the vegetables in, and turn it on. The vegetables half boil and half steam. They'll take 10-15 minutes depending on how coarsely you've cut them. Nudge them about from time to time with a spoon. When cooked, pour off the stock. Keep it in a bowl in case you need to add it to the purée to thin it out. Add the butter and season lightly. Use a blender with an attachment that isn't going to explode purée all over your kitchen. Spoon the mixture onto the middle of a plate and place the sausages artistically onto the top. Job done! It looks like a success - Mrs virtually licked the plate clean! ITBS: A comprehensive plan of attack! I put my cards on the table in a recent post regarding my knee pain. With (very) big aspirations for next year I need to go into 2013 fighting fit. So, here's what's been happening with my knee. My problem is a very common condition in endurance athletes so I'm hoping it'll be helpful for some of you - if not now, then in the future. Take note now, and you may even avoid an injury like mine. First I went to see my GP - this is the right place to start in the majority of cases. She checked for obvious skeletal problems by wiggling my leg around and comparing my knees (it was probably more medical than that). I was anticipating a referral for some physio, but the GP had a good contact who specialises in problems like mine, so he was a good place to start. 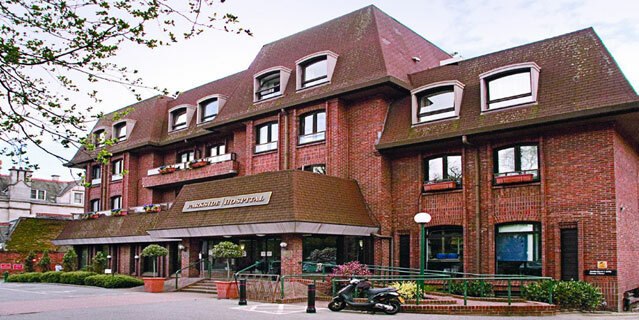 One referral letter later, and I was off to make an appointment at Wimbledon Parkside Hospital's knee clinic. A few days later I saw orthopaedic consultant Dr Peter Thompson - his wiry frame gave him away as quite the runner himself. After talking through my history and in particular when I started getting pain, we ran through a series of tests and examinations. He looked at my balance, symmetry, and general skeletal condition. He identified a very minor difference in leg length, left leg fractionally longer than right. Most people have little asymmetries and differences from left to right so there's nothing to worry about there. From everything I said, he said it was clearly identifiable as Iliotibial Band Syndrome (ITBS). 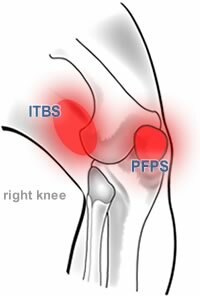 ITBS is one of the leading causes of lateral knee pain in runners. The iliotibial band is a superficial thickening of tissue on the outside of the knee, extending from the outside of the pelvis, over the hip and knee, and inserting just below the knee. The band is crucial to stabilizing the knee during running, moving from behind the femur to the front while walking. The continual rubbing of the band over the lateral femoral epicondyle, combined with the repeated flexion and extension of the knee during running may cause the area to become inflamed. Dr Thompson advised I get it checked by ultrasound to confirm his suspicions. I've never had an ultrasound before, it's normally a procedure I associate with pregnancy. In advance he said I should run until it hurts to ensure that any condition was clearly identifiable. 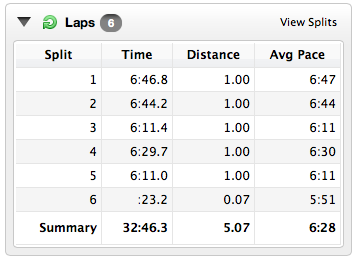 I popped back a few days later having run 5km the night before, and a further 5km at lunchtime. The ultrasound revealed good news and bad news. The good news was that my knee was not pregnant (it's OK, panic over!). The bad news was that there was clearly a dark patch underneath the IT Band termination. This is the fat pad, and it was inflamed. Back to see Dr Thompson and he verified his earlier ITBS diagnosis. He referred me to leading consultant physiotherapist, Ms Claire Robertson, and, following a look at my running style on a treadmill, a consultant orthotist named Gary Gordon (I'm really not a fan of sticking things in your shoes to address bio-mechanical problems, so it should be an interesting conversation!). We discussed if I should continue running, and if so how much. We settled on a rule of no more than three 5km runs per week between now and Christmas, with a slow (10% increase per week) build up if all is OK by then. Great news that I can carry on running a little bit and won't need to drop the parkrun obsession just yet. He also advised a strap to go round my lower thigh, this pushes down hard on the IT Band, lifting it slightly on each side and therefore easing some of the friction. 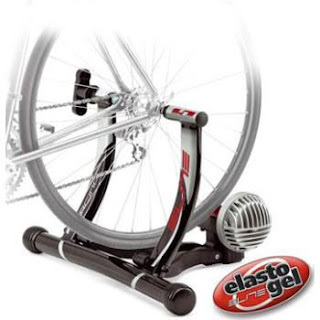 Not a long term solution, but it can provide improved comfort whilst resolving the condition. My session with Ms Robertson was well above expectation. She's a keen runner who has suffered with ITBS herself and was eager to talk about my training, races, and injury in depth. Very quickly she identified the root cause. She had me lie on my side and raise my left leg so my foot was about 18" above my right foot, left leg straight, right bent slightly at the knee for balance. Leaning on my ankle, she told me to resist as she tried to push my legs back together. I couldn't resist at all. She was amazed, apparently I should be able to resist easily, and keep my leg rock solid. We repeated the test with my left knee half bent where I resisted well but she could still move me, and then with my knee fully bent where finally I could resist entirely. I flipped over onto my left side and we repeated the test with my right leg. I was stunned when I could hold her full weight with no effort whatsoever, it didn't feel like she was pushing at all. This, then, is the root cause of my ITBS. I have a very large imbalance in the strength of a specific area of my gluteal muscles, with the left side demonstrably weaker. This part of the glute helps give stability through the hips as you push off with each running step. Because my hip would drop to one side it was effectively pulling excessively on the top of the IT band, and causing it to become overly tensioned and rub. The rubbing leads to heat, and the defence mechanism for unwanted heat is to bring liquid to the area, and this is the inflammation that was so clear on the ultrasound. It doesn't help that both my IT bands are really tight anyway - a possible side effect of not stretching out after exercise. One: Avoid running through the pain. It's an overuse injury - there's nothing to be gained by "manning up", and it won't go away - it'll just hurt more, and take longer to recover. Two: Ice massage after running. Use a single ice cube in a cloth applied directly to the area. You don't need a broad ice bag, it's only a specific point that needs treatment. Three: Go and have a chat to Rob Turner - he's an expert at rehabilitation training after just this kind of injury and can advise on strength and conditioning. Four: Go get a sports massage and get them to focus on my left IT band. Five: Make friends with the foam roller (ouch!) starting with 3 minutes standing (applying pressure with my arms) and building up to 10 minutes of bodyweight twice per day and again before running. Not everyone agrees with this. 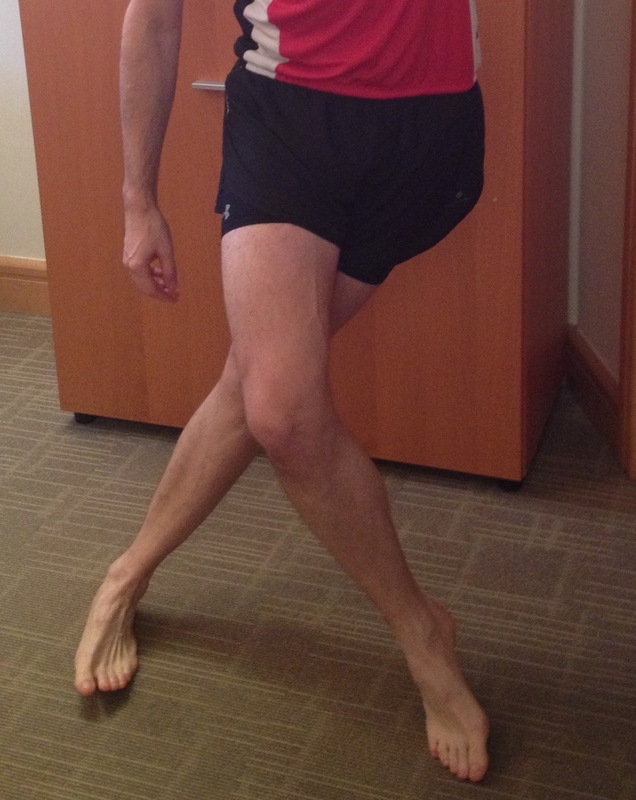 Six: ITB stretches, 3x 20 seconds each, twice per day, and always after running. If pain comes on whilst running, can stop and stretch out like this too. 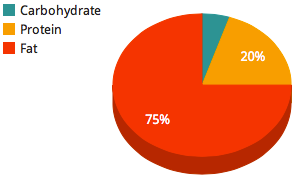 Seven: Static glute exercise, left side only (need to address the imbalance), every other day. Stand on the stairs on left foot with right foot hanging over stair below, use banisters for balance. Slightly bend left knee. Drop right leg from the hip, then pull it up using the outside of the left glute. Stay aligned and don't twist. Start with 3x 12 reps, build up to 3x 20 reps. Eight: Check out aqua running. This is something my coach has mentioned on many occasions, but I've never looked into it. AquaPhysio Ltd are down the road, so I'll try them out. Nine: Wear the lower-leg band when running. So there we go. I'm due a follow up in January. Let's see how it goes. Two weeks into the high fat/low carbohydrate experiment, and I have to say on the whole I've felt pretty good. Although I had a target previously it was more of a pointer than anything I actively ate to. I knew it was there, but I didn't consult my progress during the day and think "Hmm, I should have some more protein" or anything like that. I'm pretty much spot-on this now. Comparing my mix from before I started this experiment until now it's actually the most stable nutrient mix I've ever had by a considerable margin. At the start of the week I had a couple of days where I really couldn't get out of bed, but once I'd got up I found I had plenty of energy. On a few occasions I get light headed when I get up quickly, but that's a well recorded effect during adaptation. Exercise continues to be no problem. There's an odd feeling when I first start, when cycling legs feel "fizzy" for a few moments, a bit like they're totally empty of fuel and are about to stop working (ever cycle sprinted up a steep hill? or hit the wall/bonked?). However after a few moments they're fine again. No real loss of power evident from the commuting I've done, but hard to tell without going for a longer ride. I'm planning on putting in a 90-120 minute ride tomorrow while Mrs is running a half marathon in Richmond Park. I did have a very fast and hard energy crash on Sunday afternoon. It came on so quickly I found myself falling asleep waiting for web pages to load! I soon came out of it though after a short walk. I expect there's going to be a couple of events like this as although I'm clearly burning fat now, I expect there is considerable optimisation required to become really efficient. At work I've felt good and alert, the occasional feelings of hunger but they go very quickly. Dropping to a lunch and just a couple of snacks during work hours is handy - less to carry than on my carb heavy days where I was almost permanently snacking! In particularly I don't have an afternoon slump any more. That was quite crushing at times and probably led to the growing habit of a 4pm chocolate bar (not the right solution, only encourages the yo-yoing of insulin levels). I made a mess of Thursday evening - we went out and I poorly judged my wine intake. Got to 52g carbs for the day which is still considered low, however I was very hungry the next morning. I really didn't enjoy the carby craving, but it wore off towards the afternoon thankfully. I hadn't been hungry like that for a few weeks - it's a bit like having a hangover when you haven't had one for a long time. Unpleasant. Apart from last Thursday I've kept under 50g/day every day. 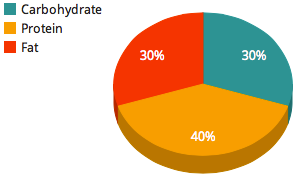 In the literature this is considered a "very low carbohydrate diet" and should be within the range to properly adapt to a fat-burning metabolism. One thing that's definitely helped me, and you should certainly get into this habit too if you're interested in trying this, is that I am used to meticulously logging every single thing I eat and drink. 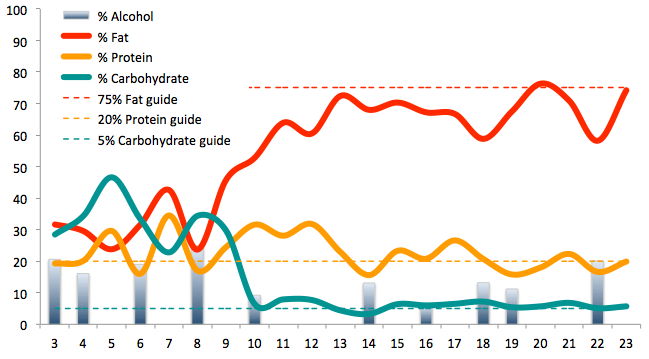 Even the cup of tea I'm drinking now (1.7g carbohydrate) makes a big difference when your targets are so low. I've used Weight Loss Resources for a long time, and highly recommend it - regardless of if you're losing weight or not. In studies that have been done the vast majority of people mis-report, under-report, or flat out lie about what they're eating when asked to keep a diary. Buy some scales, weigh everything, and keep yourself honest - it's definitely worth it.